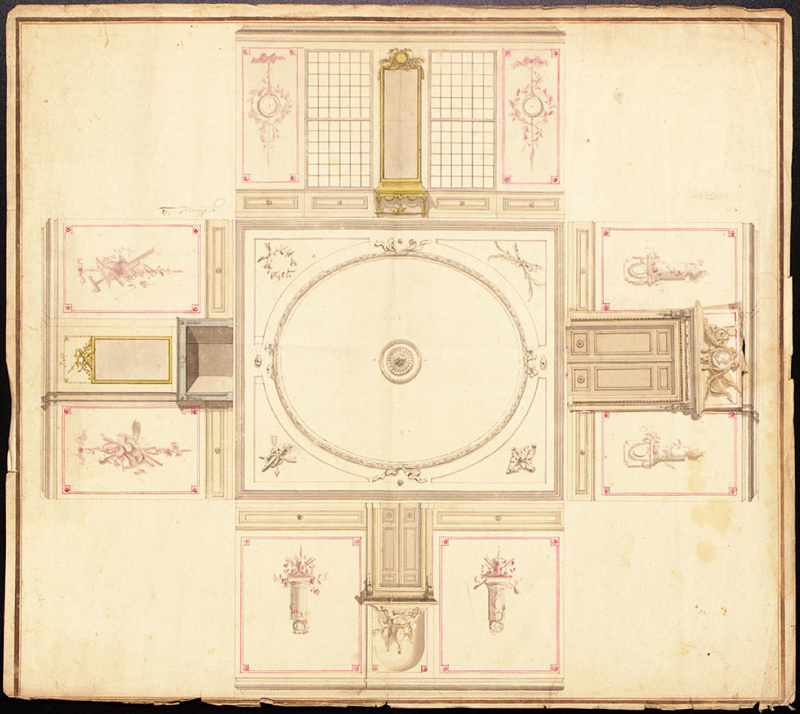 The sketch for this 1763 interior by Leendert Viervant has a liftable part on one of the panels. It reveals an alternative to the dominant Rococo style of this period: The Neo Classicist style. This showed a clear desire to adapt to the client’s wishes. Neoclassicism was a “return to purity” as a reaction to the flamboyant lifestyle of the monarchy in the 1700’s. It was the return to the classic styles & spirit from Rome and ancient Greece. Moral & rationality replaced bold ornamentation & superficiality. The promotion of science and individuality during the Enlightenment (origin 1650) had left a demand for personal freedom & equality. In the spirit of the enlightenment & the belief that all individuals should be able to reason for themselves, Viervant leaves the choice to the client by offering alternatives to the initial designs. The awareness of the changing demands at the current time & difference in personal taste makes Viervant’s approach seem like a prediction of our modern customizable 21st century society.